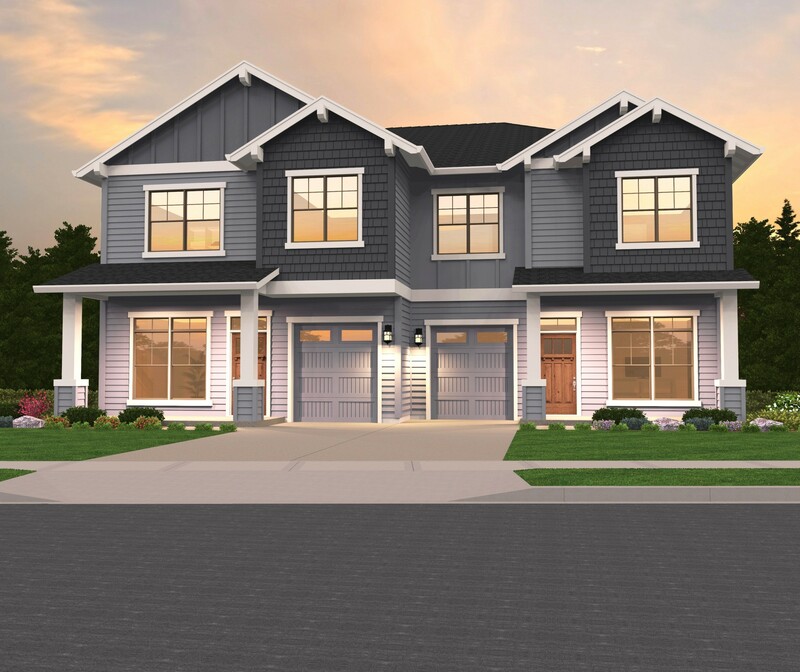 This charming, traditionally styled two story craftsman house plan has two spacious units that offer a comfortable and private floor plan. Each home features a charming front porch,a den and powder room upon entry. Further into the home is an open, L shaped kitchen with center island and convenient corner pantry, a darling dining nook with a large window and the elegant great room with a built in fireplace and windows flanked on each side. Heading upstairs there are two spacious bedrooms, one of which has a walk in closet. Also upstairs is a loft, utility room, a full bathroom and the dreamy master suite. 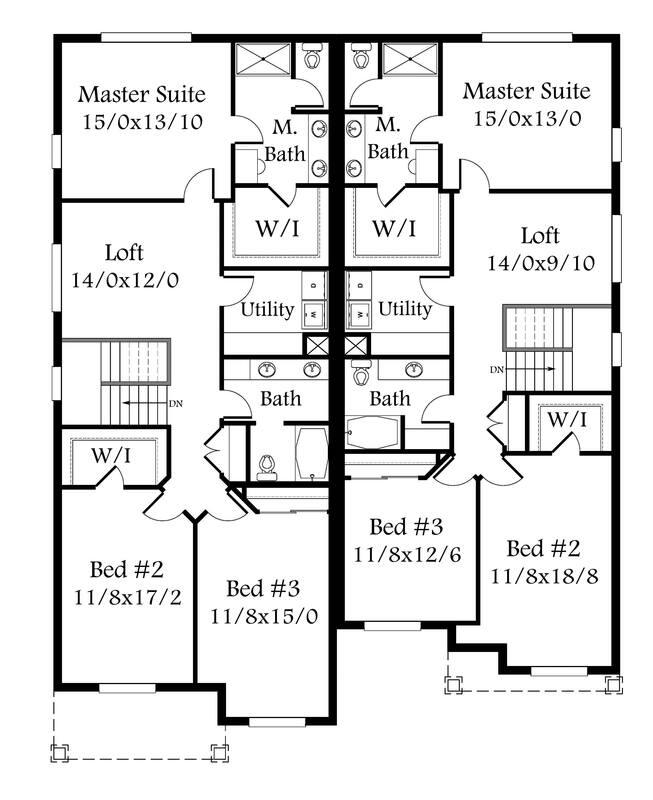 The master features a shower/bath combo, side by side sinks and a large walk in closet. 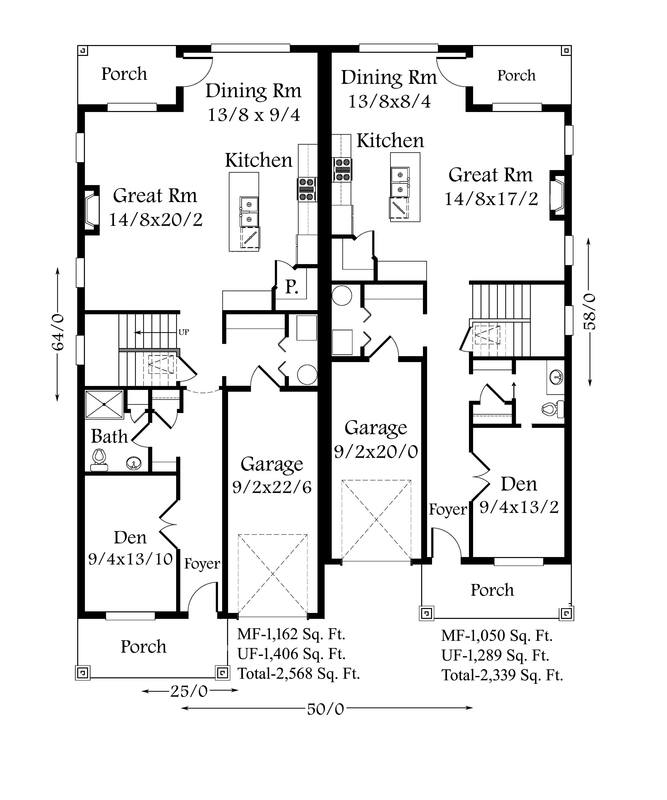 This Two Story Craftsman Duplex House Plan provides luxury living while minimizing footprint and preserving privacy. Each floor plan is opposite of it’s neighbor.